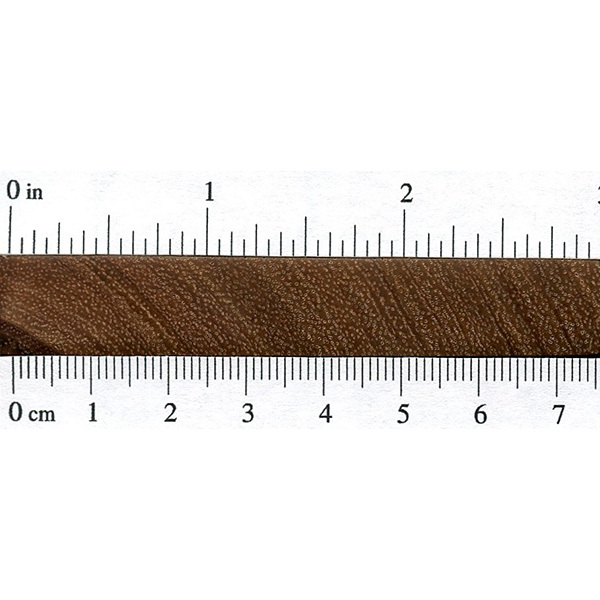 Color/Appearance: Heartwood light to medium brown, sometimes with a reddish or purplish hue. 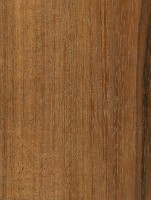 Darker brown streaks common. 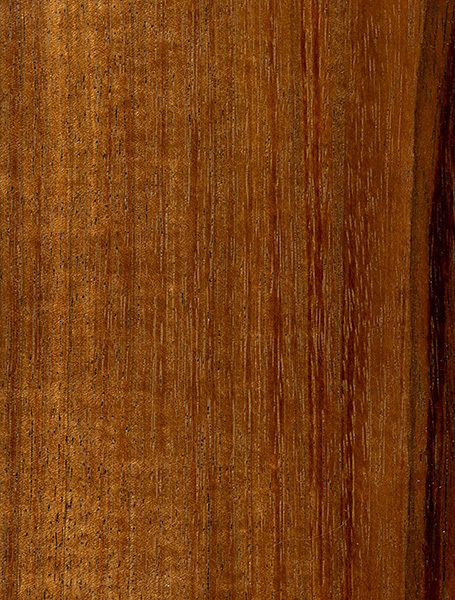 Thin sapwood is a pale grayish white, clearly demarcated from heartwood. 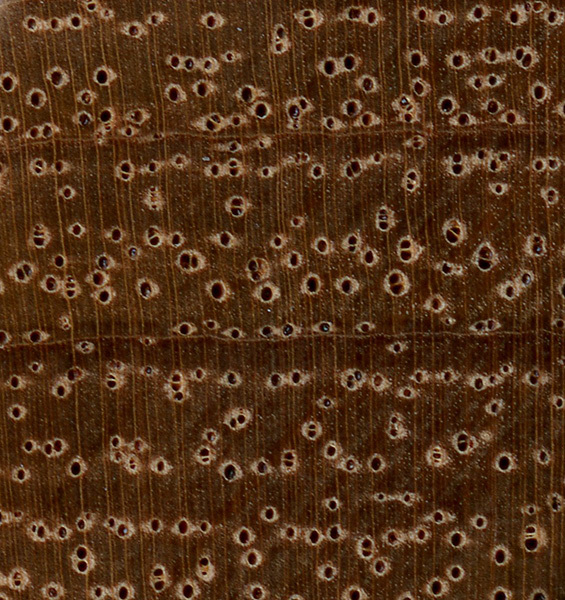 Sometimes seen with curly grain patterns. 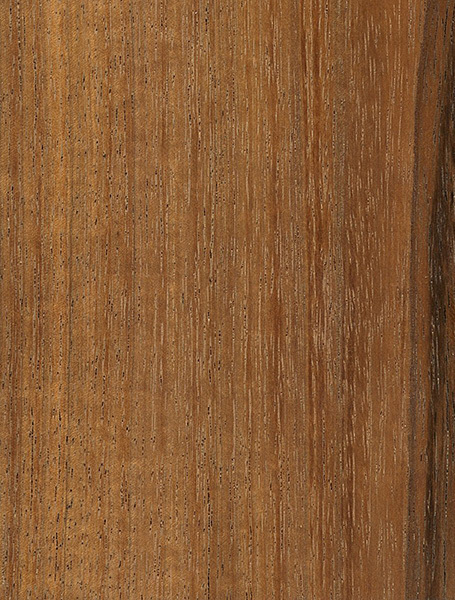 Grain/Texture: Straight grain with an open, uniform texture. Medium luster. 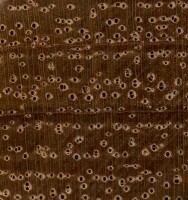 Endgrain: Diffuse-porous; large pores in no specific arrangement, few to very few; solitary and radial multiples of 2-3; heartwood deposits occasionally present; narrow rays not visible without lens, normal spacing; parenchyma vasicentric, lozenge, confluent, and banded (marginal). Rot Resistance: Reported to be very durable, and also resistant to most insect attacks. Workability: Overall working properties are good, though Tzalam may blunt tool edges faster than usual. Turns, glues, and finishes well. Able to take a high natural polish. Allergies/Toxicity: Although severe reactions are quite uncommon, Tzalam has been reported to cause cold-like symptoms. See the articles Wood Allergies and Toxicity and Wood Dust Safety for more information. Pricing/Availability: Prices likely to be moderate for an imported tropical species. 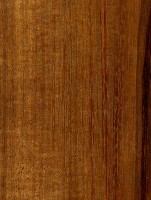 Boards with curly grain or other figure are likely to be considerably more expensive. 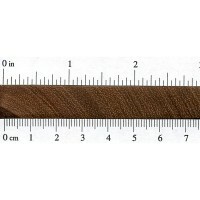 Common Uses: Flooring, exterior furniture, interior trim, veneer, turned objects, and other small, specialty wood items. Comments: Perhaps due to its somewhat obscure and strangely spelled common name, Tzalam is sometimes marketed as “Caribbean Walnut,” though it bears little relation to the true walnuts in the Juglans genus. Appearance-wise, Tzalam can closely resemble Koa. Fluorescent.